Give me a period film, and I’m willing to give it a shot. If it happens to be set in Mughal India, so much the better. 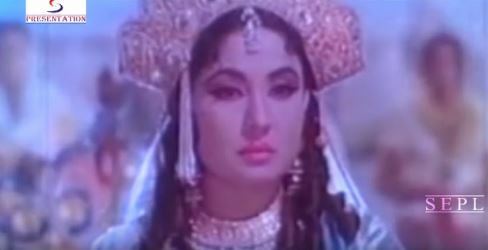 If the cast features people like Meena Kumari, Pradeep Kumar, Rehman, Veena, Lalita Pawar and Nighar Sultana: well, there’s hope that the acting will be passable. And when I realize that the music composer is Roshan: then I’m certainly on for it. Noorjehan, of course (though Richard would probably question that ‘of course’) is about the noblewoman who married the fourth of the Great Mughals, Jahangir. Born in May 1577 and named Mehrunissa, she was the daughter of a man who rose to great prominence in the Mughal court: Itmad-ud-Daulah (‘Pillar of the State’) was the title given to him, and the marriage of Mehrunissa to Jahangir made of Mehrunissa a powerful woman, too. Initially given the title Noormahal (‘Light of the Palace’) by her doting husband, she was subsequently given the title of Noorjehan (‘Light of the World’) and went on to become probably the most influential of imperial consorts in the Mughal dynasty, a wealthy woman in her own right, as well as a woman who exercised a good deal of power from beyond the purdah. …which could probably have been more appropriately titled How to Jump to Conclusions and Mess up Lives. Or Never Trust a Sinister Mamu. This is one Muslim social – a genre I have long admitted to being very fond of – which has been recommended to me so often, I’ve lost track of the recommendations. 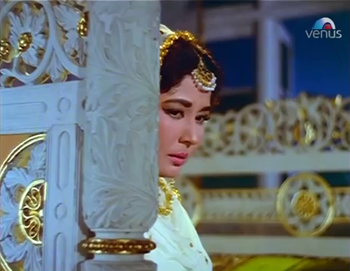 On the one hand, I wanted to see it because it has some lovely songs; on the other, the thought of watching Meena Kumari in one of her last few films – well, that wasn’t something I was really looking forward to with anticipation. But all those recommendations tilted the balance. I ended up re-watching this film in a roundabout sort of way, which is a story in itself. A few months back, my sister (a historian, whose PhD was on 19th century Delhi) remarked, “I’d like to watch Lal Qila. I’ve never been able to find it in stores.” So, good little sister that I am (and a shameless opportunist), I figured out at least one of the things I’d gift my sister for Christmas. Before gift-wrapping the VCD, I decided to watch Lal Qila, and write up a review right after. The latter didn’t happen – because Lal Qila is so badly written, so badly directed, and such a crashing bore, I couldn’t make head or tail of it most of the time. Only Rafi’s superb renditions of Bahadur Shah Zafar’s poetry – especially Na kisi ki aankh ka noor hoon – are a saving grace. I was so peeved and disappointed after Lal Qila, that I needed this to buoy myself up. In any case, I told myself: logically, the two films are related (other than the fact that both feature Helen): the Lal Qila and the Taj Mahal were both built by Shahjahan. Here we go, then. 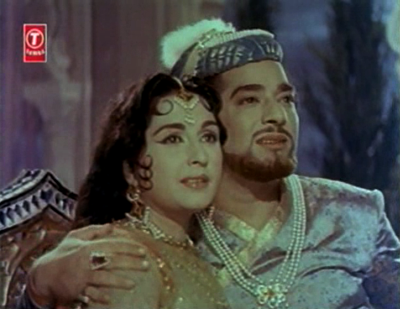 One of Hindi cinema’s better historicals, with a stellar cast and very good music. As I’d mentioned in my last post, I’m not much of a Raj Kapoor fan. I have seen most of his films, but I like very few of them. Jaagte Raho, a flop when it was first released (even though it won an award at Karlovy Vary) is one of the exceptions: an RK film that I found engrossing and worth the watch. Part of it probably is the fact that it features a veritable who’s who of 50’s Hindi cinema character actors. 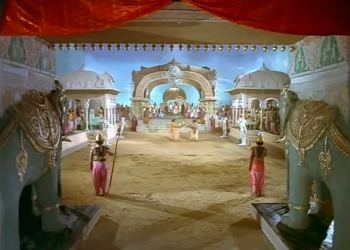 Part of it is due to Salil Choudhary’s superb music. And more than that, it’s because this is a well-scripted story, socially relevant in a tongue-in-cheek way. 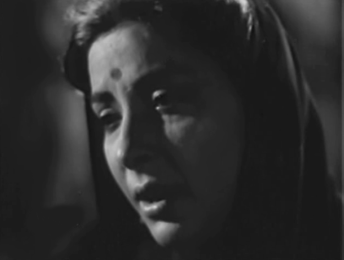 I’m always on the lookout for old, offbeat Hindi films. Something without the hackneyed romances, the clashes between rich/poor, urban/rural, good/evil, the sudden breaking into song and the neat tying up of all loose ends once the regulation three hours are up. 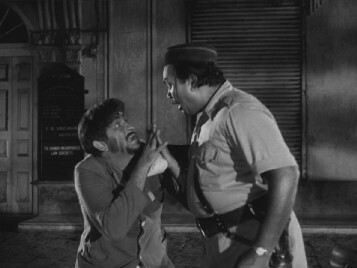 Don’t get me wrong; I have nothing against masala films—some of my favourite old films are masala to the spice-sodden core. But somehow a film like Kanoon, Ittefaq, Anokhi Raat, Kabuliwala or Dekh Kabira Roya, each unusual in its own way, has a certain je ne sais quoi. 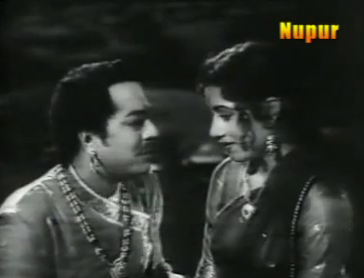 So does this, Nargis’s last film. 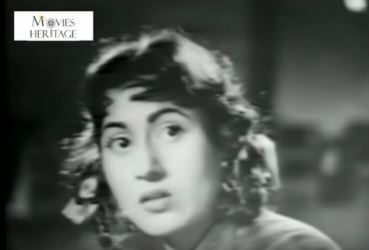 There’s something a little hat ke about a film in which the romance is really quite minimal, and the strange light-and-shadow personality of a schizophrenic woman is the main focus of the plot.